Living with Rheumatoid Arthritis or other joint or mobility problems can be a real challenge. Seemingly simple tasks are suddenly painful, frustrating or downright impossible. Luckily, there are plenty of great products on the market that can make living with Rheumatoid Arthritis more tolerable. And with the holidays just around the corner, I thought I would post a gift guide for Rheumatoid Arthritis patients or those with other joint or mobility problems. These are things I have purchased or received in the past or thought would help ease my arthritis symptoms in my hands, back or feet. Give them a try and tell me what your most helpful tools are to help you, your friends or your loved ones cope with the daily stress of Rheumatoid Arthritis (RA). I hope you find this gift guide for Rheumatoid Arthritis patients helpful. If you’re a patient, let me know what helps you cope with RA and what I need to add to this list. You might also like my post on 5 essential steps to understanding chronic illness which has more tools I used to figure out my body and reduce my daily pain and autoimmune related symptoms by 90%. Note: This post contains affiliate links as indicated. Purchases from these links provides a small commission to me at no extra cost to you. I got some of this Bath & Body Works Stress Relief bath and lotion* as a gift when my teenager was a toddler. It’s still my favorite lotion and I use it especially on hard days. As soon as I smell it, it really does relieve some of the tension that life can bring. Since I was a kid, I have always loved to color. As someone with not an artistic bone in her body, I have always loved coloring since I can’t draw the pictures myself. These are some of my favorite coloring books to take the stress off and get my mind off my troubles and I use a good ole pack of Crayola colored pencils*. We even make coloring a family activity and the boys and I work on a page together. This cane chair* has been a lifesaver when we travel, go to amusement parks, malls or when there is a lot of walking and I need a place to sit. When it’s folded, I can use it as a cane to help me not limp and when open, it’s an instant chair for whenever and wherever I need it. I even take it with me to soccer practice and games as it’s easier to carry than a regular folding chair and is as light as an umbrella. This chair is definitely worth it. A dual-control plush electric blanket* is a great gift idea and an essential for people living with Rheumatoid Arthritis. The mild, soothing heat can comfort cold, painful joints and help you get a better night’s sleep. Dual controls are essential if two of you share a bed. I am always colder than my Superhubby and my blanket is always on in the winter. I preheat my bed while I change my clothes and it’s nice and warm when I am ready to get into bed. A microwaveable heating pad* to be able to put the warmth right where you need it. Or a warming backrest massager*. I love that the first review on this said it must have been made by a spoonie so I bet this would be a perfect gift too! A bubbly warm foot spa* or soothing peppermint foot lotion*. The smell of the lotion alone puts me at ease after a long day. My hands are the most impacted by my RA. I cannot get my fingers into regular gloves very well so usually wear mittens in the winter. It keeps my hands warmer but it I have to take them off to drive since many mittens do not grip the wheel well enough. I saw these convertible mittens* the other day which would be perfect to be able to just fold the top down to be able to grip the steering wheel and convert them back when going outside. Amazon has some extra long convertible mittens also that provide extra warmth on the forearm. On tough days when my pain is bad, I normally want to get as comfortable and cozy as possible. I usually wear pajamas, Superhubby’s sweatshirts, a robe we got at a spa, fuzzy socks or cozy up under one of my favorite red plush blankets which helps me get cozy and warm. I am a book lover myself and received an early Christmas present from my Superhubby back in 2012. The Amazon Kindle Paperwhite is amazingly light to hold even when it is in its cover, lighter and easier to hold than a paper book, now it’s even waterproof for worry free reading poolside, in the tub or at the beach. It has a low light function which makes it perfect for reading at night and is easy to read during the day as well. I lie on my side when I read so I can prop the Kindle up on a pillow or the cover makes a tent for hands-free reading. I love the Kindle so much, I’d much rather give up my smartphone than my Kindle! I love to wear jewelry but it is often difficult for me to grip the clasp to be able to put it on by myself. If you’re like me, here are a couple of suggestions. First, try the bracelet helper* or change the clasps on necklaces or bracelets to magnetic clasps* to make them a cinch to get on and bring a little bling to life with RA. Or, try a long silver necklace with no clasp*, gorgeous elastic bracelets* or a cuff bracelet to inspire you* that are all easy to slip on. An electric can* or jar opener*. I like that this can opener cuts with a smooth edge and will save my hands the pain of twisting the handle. I like the Good Grips brand of kitchen gadgets because their wider handles are easier for me to hold but even their manual can opener is hard for me. Need more ideas for the kitchen? Check out my 8 Must Have Tools in the Kitchen. A Kitchenaid stand mixer* to help mix pizza dough, cookie or pancake batter, beat eggs, shred cooked chicken or even mix the meat for meatballs! With hands that have been deformed by RA, mixing meatballs with my hands is frustrating and futile. With the mixer, a few whirls of the paddle attachment and it’s all evenly mixed. It seems like every day I find an excuse to use my mixer. An anti-fatigue mat* to put on the floor near the sink or oven for when you will be standing for long periods of time. It’s like having insoles on the floor. If I could line my kitchen and bathroom floors with this material, I would! Also if you have to hand wash bottles, glasses or stainless steel travel mugs, a baby bottle brush works great for getting to the hard-to-reach narrow bottom of a glass. It’s amazing how well these brushes work and they go in the dishwasher every time I run it to clean them off for next time. We always put a massaging steering wheel cover* on our cars but I did not realize how much it helped me grip the wheel until we took it off. Don’t have one, get one! It helps to add thickness to the wheel which makes it easier to grip. Travel mugs for warm drinks must have a handle otherwise I need two hands to be able to use it. Before you buy, try out how hard it is to unscrew the top and make sure it is dishwasher safe. Lessons I have learned the hard way. One of the challenges of Rheumatoid Arthritis is figuring out what works for you and your body when it comes to exercise. There is a very fine line between moving to keep your joints mobile and overdoing it which can trigger a flare. Surprisingly, one of the best tools to help me figure out my body was a FitBit. I wore it not to get 10,000 steps a day like an average person or compete with my active Superhubby or friends. But I used the FitBit to figure out how many steps I could take before my feet were in too much pain so I can better plan my day between tasks that require being on and off my feet. It’s no secret that age, kids and hectic schedules can cause us to forget things. But it’s also true that Rheumatoid Arthritis and the medicines we take for it can cause brain fog, the fuzzy headed, difficulty concentrating feelings we can get. 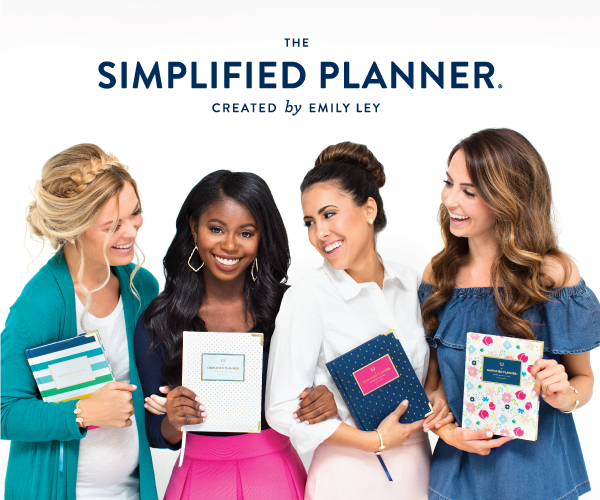 I am always worried that I’m forgetting something so I rely on my Powersheets goal planner to help me keep my goals realistic and in perspective given my health and my Simplified Planner and bullet journals to help keep me organized and remember all the things. I’m a total planner addict these days but it’s a complete necessity so I can still keep up with mom life and these busy boys who deserve the best I can give them. Well those are my favorite gadgets and gizmos to make life coping with RA just a little easier. I hope you found some useful ideas in my gift guide for Rheumatoid Arthritis and chronic illness patients. Subscribe to my Thriving with Chronic Illness Newsletter and Grab My FREE Food and Symptom Tracker! Start understanding your body and what foods, environmental or emotional factors trigger your pain. When you subscribe to my newsletter and you’ll get periodic tips to help you cope, manage and thrive with chronic illness AND my FREE Food and Symptom Tracker and keep track of what triggers your pain so you can start feeling better sooner. 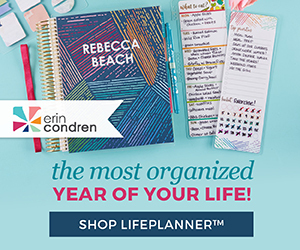 Look at the resources that are most helpful to chronically ill people (and my planner is #3), valued at $176.99, just these 6 are worth the cost of the entire bundle and the rest are incredible icing on the cake! Check out the entire Ultimate Productivity Bundle* . 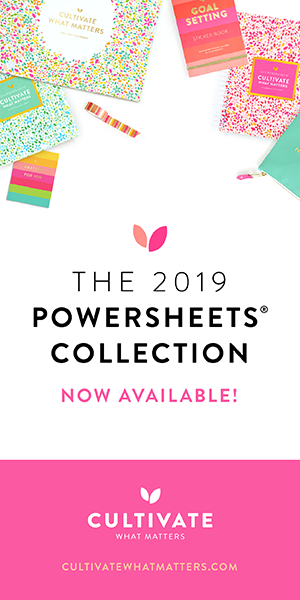 At only $37 for over $1,500 worth of resources, It’s an incredible deal for everything you get and the bonuses for early birds! Plus it comes back with a 30-day happiness guarantee so you really have nothing to lose! Excellent resources for aged people who needs arthritis aids. I am after kitchen-aid stand mixer for my grandmother. Do you have idea regarding amazon shipment to New Zealand?Will they ship products to New Zealand or not? This product might be excellent as it is multi-tasking mixer. Wow, thanks for this list. I have a friend who’s suffering from Rheumatoid Arthritis and his birthday is coming up. Thanks again for this great insight into what these people actually need and want. Thanks Tim, I hope you find a gift here that might help your friend. I would add to your list the jar opener also found on Amazon. Just like the can opener it turns the jar lid for you. I LOVE anything with heat. Good list. This is such a wonderful list! Super helpful. 🙂 Pinning this to our #MMBH. Thank you for sharing. I love Bath & Body Works’ Stress Relief aromatherapy products. The cane chair is really clever. Great roundup of useful gifts. I loved the Bath & BodyWorks Aromatherapy stress relief body wash when I was a stressed-out college kid, and the anti-fatigue mat is great for anyone! Great list of items. I love the cane chair and honestly I could use some of these to help me after a long day at work. I might need to get the foot spa and peppermint anything is heavenly! Thanks Lowanda, that came chair has saved my feet so many times and yes after a long day at work, the foot spa and peppermint lotion are heavenly! Thanks for stopping by and commenting! I have a friend with RA. I know she’d enjoy several of these items. Thank you for the ideas! These are great ideas. And also, Thieves Essential Oil with Epsom Salt helps reduce inflammation. Smells wonderful. I love it. These are awesome ideas! I have also heard that people with RA love fuzzy socks and slippers that are easy to get on! Thank you so much for hosting the #SmallVictoriesSundayLinkup! You are so thoughtful! What a great post. Aw thanks, Dayngr. I figure if it helps me, I hope these ideas will help others with RA too. Winters are especially rough. Thanks for stopping by and sharing on the NCBN roundup! These are right on target! Good job! I have chronic pain issues too, but I don’t know why. I have a rheumatologist appointment on Wednesday, and I’m just hoping for answers. I’m so sorry you have chronic pain issues, I do hope the rheumatologist can help you find answers. I know waiting for diagnosis was the hardest time in my journey. And then finding our the right cocktail of medicines that would work to combat the pain. I’ll be thinking of you that things go well enough that doc finds answers for you so you can start healing. I do hope you keep me posted and feel free to send me message if you like to talk more. Great gift ideas! The anti-fatigue mat is especially appealing to reduce pain while standing to do things in the kitchen. Thanks for sharing your list again. Love the idea of a condition specific gift guide! Aw thanks Barb. It can be hard as a patient but many of my gifts (especially jewelry) goes unworn if I can’t get it on or over my misshapen hands or books I can’t hold because they are too big and cumbersome. Sometimes it seems like a simple thing to do but for an RA patient, it can be surprisingly difficult. For the kitchen, I’d add purchasing the silicone liners for cookie sheets and baking trays. We use them in roasting pans and they make clean up so fantastically simple; and they are dishwasher safe (at least in the top rack). Get two! oohh what a great idea, thanks Mary!